Challenge real drivers in real races in real time! Don’t miss out on this fantastic limited time opportunity! Register before the 26th of April 2019 and receive a unique car livery to add to your collection! Thank you for your interest in Virtually Live (Virtually Live, we, our or us), any of our virtual reality experiences and any of our related mobile applications and our Formula E 2019 Ghost Racing: Formula E experience (including headset device applications), websites (including our website, virtuallylive.com), downloadable software, virtual reality products, and other products and services provided by us (together the Services). This Privacy and Legal Statement (Statement), which is, to the extent applicable, incorporated into and is subject to the Virtually Live End User License Agreement (EULA), describes the information that we gather from you on any Service provided by us, how we use and disclose such information, and the steps we take to protect such information. We respect the privacy of all the users of our Services and are committed to ensuring that your privacy is protected. Should we ask you to provide certain information by which you can be identified when using any of the Services, then you can be assured that it will only be used in accordance with this Statement. You are able to browse our website without providing us with your personal information. We do not collect personal information when you browse, such as your email address or name. However, when you access our website you may be requested to provide us with these details. We may also use the information you provide us with to respond to your queries and provide support to you. User-provided Information. When you use any of our Services, we may collect personal information about you, including your name, company name, email address, mailing address, mobile phone number, your date of birth, or preferences and we may link this information with other information about you. You may also provide us with information in various ways on the Service. For example, you provide us with information when you register for an account, use the Service, or send us customer service-related requests. Cookies. Our Services may use certain session cookies and persistent cookies. A session cookie disappears after you close your browser. A persistent cookie remains after you close your browser and may be used by your browser on subsequent visits to the Service. Please note that if you delete, or choose not to accept, cookies from the Service, you may not be able to utilize the features of the Service to their fullest potential. Our Services make use of Google Analytics services to track user’s statistics. Virtually Live uses these statistics to continuously improve our Services, and thus offer you relevant content. Aside from the approximate location (IP address), the information collected by Google Analytics is mostly anonymous traffic data including browser information, device information and language. Our website uses social plug-in tracking cookies to enable us to display social sharing buttons and to embed YouTube videos, for example. We may also request certain information from your device by using various types of technology, including “clear gifs" or “web beacons”. This collects information such as your IP address or other device address or ID, web browser and/or device type, the web pages or sites that you visit just before or just after you use the Service, the pages or other content you view or otherwise interact with on the Service, and the dates and times that you visit, access, or use the Service. We may also use these technologies to collect information regarding your interaction with email messages, such as whether you opened, clicked on, or forwarded a message. This information is gathered from all users, and may be connected with other information about you. When you use our Services for the first time, a message appears through which you will be able to accept or decline the use of these cookies. If you do not want to grant permission, click decline. You can also set your browser so that it does not accept cookies. track your entries, submissions, and status in any promotions or other activities on the Services. we may disclose information about you if required to do so by law or in the good-faith belief that such action is necessary to comply with applicable laws, in response to a court order, judicial or other government subpoena or warrant, or to otherwise cooperate with law enforcement or other governmental agencies. We may share your information among Virtually Live controlled entities and subsidiaries (VL Group). We may also share your personal information with our agents or contractors in connection with services that these individuals or entities perform for VL Group. These agents or contractors are not authorized by us to use or disclose this information except as necessary to provide services for Virtually Live. You may decline to share certain information with us, in which case we may not be able to provide to you some of the features and functionality of our Services. You may update, correct, or delete your information and preferences at any time by accessing your account preferences page on the Service or by contacting us to the email provided below. If you wish to access or amend any other personal information we hold about you, you may contact us at info@virtuallylive.com. Please note that while any changes you make will be reflected in active user databases within a reasonable period of time, we may retain all information you submit for backups, archiving, prevention of fraud and abuse, analytics, satisfaction of legal obligations, or where we otherwise reasonably believe that we have a legitimate reason to do so. If you receive commercial email from us, you may unsubscribe at any time by following the instructions contained within the email, or sending your request to opt-out by email at info@virtuallylive.com, or by writing to us at the address given at the end of this Statement. Please be aware that if you opt out of receiving commercial email from us or otherwise modify the nature or frequency of promotional communications you receive from us, it may take up to ten (10) business days for us to process your request, and you may continue receiving promotional communications from us during that period. Additionally, even after you opt out from receiving commercial messages from us, you may continue to receive administrative messages from us regarding provision of our Services. Any information you provide on third-party sites or services is provided directly to the operators of such services and is subject to those operators’ policies, if any, governing privacy and security, even if accessed through our Services. We are not responsible for the content or privacy and security practices and policies of third-party sites or services to which links or access are provided through the Service. We encourage you to learn about third parties’ privacy and security policies before providing them with information. Protecting the privacy of children is especially important. Our Services are not directed to children under the age of 13, and we do not knowingly collect personal information from children under the age of 13 without obtaining parental consent. Your information may be stored and processed in the United States, Europe or any other country in which Virtually Live or its service providers maintain facilities. Nevertheless, please note that we will not transfer information to any country and jurisdiction that does not have the same data protection laws as Switzerland. We are committed to ensuring that your information is secure. We use certain physical, managerial, and technical safeguards that are designed to improve the integrity and security of information that we collect and maintain. However, we cannot ensure or warrant the security of any information you transmit to our Services or to us since no security measures are perfect or impenetrable. We cannot and do not guarantee that information about you will not be accessed, viewed, disclosed, altered, or destroyed by breach of any of our physical, technical, or managerial safeguards. The information contained on any of our Services is provided on an “as is” basis and for informational purposes only. While we try to ensure that the information contained in any of our Services is accurate, no guarantee is provided as to the accuracy of the information disseminated via our Services. Virtually Live does not provide any warranties as regard its correctness, completeness, suitability or otherwise. Virtually Live shall not be liable for any direct, indirect or consequential losses or damages resulting from or in connection with access to, use of or queries to our Services or its links with other web sites. Information made available on any of our Services may be amended at any time without prior notice. In particular, Virtually Live shall not be liable for losses caused by transmission errors, technical faults and interruptions, breakdowns or unlawful interference with the user's data processing system or the generally accessible systems and transmission networks. Nor shall we be liable for losses resulting from breakdowns, interruptions or overloads occurring to any data processing systems. The images, documents and other works available on any of our Services are protected by copyright and all rights remain reserved to the rights’ owner. It is not allowed to copy, publish or otherwise use any of the information provided on any of our Services without our prior written permission. If nothing else is indicated, all published company or brand names are registered trademarks or otherwise protected intellectual rights of Virtually Live. This Privacy Statement is governed by Swiss law. Zurich shall be the exclusive place of jurisdiction for any dispute arising in connection with Virtually Live Services shall be under the sole jurisdiction of the Swiss courts. Please revisit this page periodically to stay aware of any changes to this Statement, which we may update from time to time. If we modify this Statement, we will make it available through the Services, and indicate the date of the latest revision. In the event that the modifications materially alter your rights or obligations hereunder, we will make reasonable efforts to notify you of the change. For example, we may send a message to your email address, if we have one on file, or generate a pop-up or similar notification when you access the Services for the first time after such material changes are made. Your continued use of the Services after the revised Statement has become effective indicates that you have read, understood and agreed to the current version of this Statement. Please contact us with any questions or comments about this Statement, information we have collected or otherwise obtained about you, our use and disclosure practices, or your consent choices by email at info@virtuallylive.com. 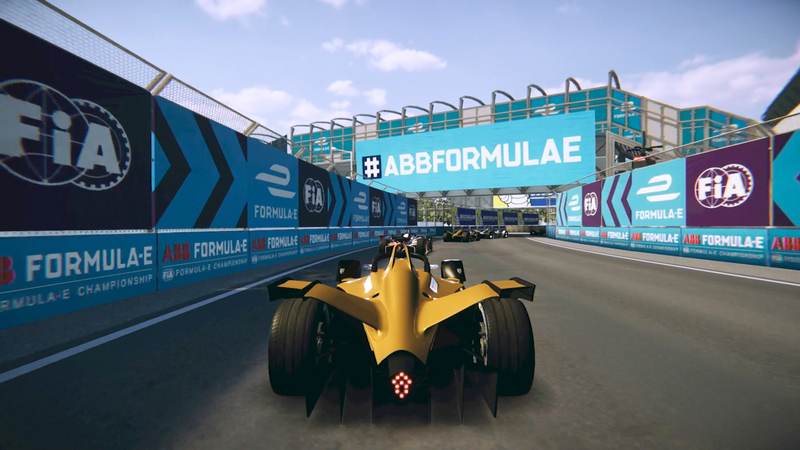 Prepare yourself for a brand new way of experiencing racing games! 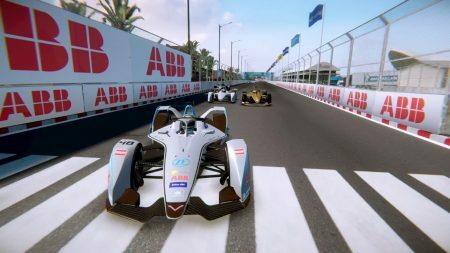 As a never-before seen experience, Virtually Live presents Ghost Racing: Formula E – A racing game where you race against real drivers, in real races in real time. Take part in the intense and exciting Formula E races on street tracks around the globe! You will not only compete against the actual drivers, but also the whole Ghost Racing community. 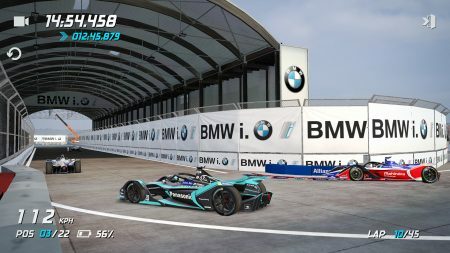 In this massive multiplayer racing experience, you need to be fast and apply the best tactics in the often unanticipated and surprising circumstances which comes with real world racing. 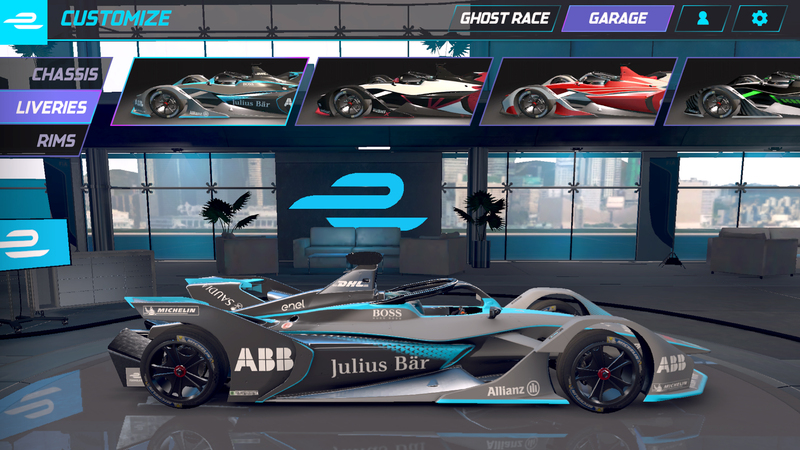 Ghost Racing: Formula E features constant new challenges, races and tournaments and a garage where you can collect new liveries and develop your vehicle to perfection. Enjoy realistic graphics, customizable cars, tournaments and advanced community features. Explore different seasons and live races in race or watch mode from a new perspective, all narrated by a professional commentator! HITTING THE GREEN LIGHTS SOON!